The company is at the centre of a cultural appropriation controversy. Ungava Gin wants to make things right with the Inuit. There's one way the company at the centre of a cultural appropriation controversy can work toward that goal: Pay up and support Inuit health programs. Last month the gin company, which sources ingredients for its alcohol from Quebec's Ungava Peninsula, publicly apologized after people criticized it for using Inuit iconography to sell its product. In 2013, the company ran a marketing campaign with a video in which someone sang "Ungava" as if they were throat-singing. The video, since taken down, also showed Inuit people paddling a canoe in an arctic setting with igloos and polar bears. Ungava has since said it is "working to source cultural influencers' advice." As promised, we’re working to source cultural influencers’ advice on ways to give back to the Inuit community. We’ll keep you updated. Andy Moorhouse, the vice-president of Makivik Corporation, which oversees economic development in Quebec’s Nunavik region, has a few ideas for what they can do. Moorhouse says Ungava, which sources its ingredients from the region, could help fund a new facility for a treatment centre in the area. 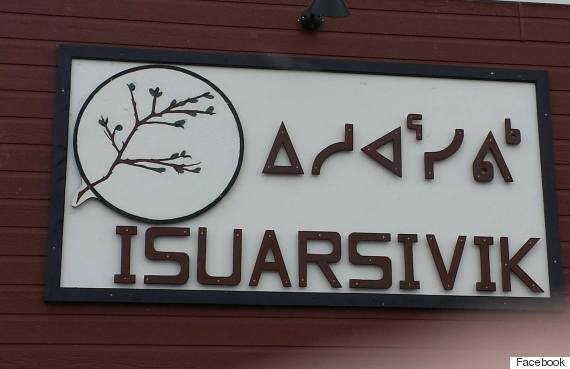 Isuarsivik, located in the town of Kuujjuaq, approaches addictions treatment using traditional Inuit values, and is offering a 42-day residential program that's delivered in the Inuktitut language. The centre hopes to open a 21-bed facility next year, and has been trying to secure money to make that happen, Nunatsiaq Online reported. "We're using a building that was built in the 1950s," Moorhouse said. "It's been a long time effort of the Isuarsivik treatment centre to construct a new building and deliver the program and staff it properly. So it would be nice if [Ungava] would at least communicate with them, and look to see how they can contribute." But Moorhouse said there's another way Ungava could show more respect for Inuit: By properly representing Inuit clothing. The gin company faced controversy after tweets showed women promoting its products in parka-like swimsuits. Ungava said the latter picture was taken in Singapore, and the women wearing the outfits were employees at the bar where the gin was being launched. Moorhouse said the clothes could be approached differently. "A parka is a parka, anybody knows what a parka looks like, and it's not part of a swimsuit," he said. "The women seamstresses have been sewing parkas out of fur from the caribou, the polar bear, and it survived them for hundreds of years. "We don't have the time for bathing suits that look like parkas because it just doesn't do the job to keep anybody warm." 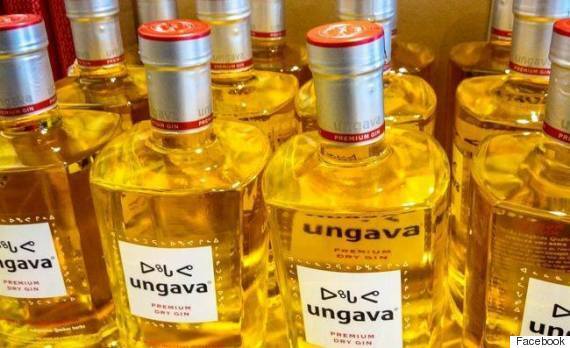 Ungava Gin is "currently deciding on how best to engage with the Inuit community and have been exploring a number of options, including working with organizations in Montreal, or in the North," spokesman Stephen Murdoch said in an emailed statement. Working with Makivik is but one option that's been presented to the company, he added. Murdoch said Ungava reached out to Makivik Tuesday and hopes to meet with them soon, "if they are interested."